What we do here at Áiseanna Tacaíochta (ÁT) makes a huge difference in the lives of people with disabilities and their families in Ireland, as well as benefitting the communities around them. Online sponsorship is a really quick and easy way for you to get an event going to support us with that, and to promote it with everyone who you think might like to sponsor you. We’re a very small organisation, and we rely on your support to make our vision of Independent Living the reality for people with disabilities across the country. If you’re interested in getting involved and helping us out with a fundraising event of your own, we would love to hear from you, and we’ll be here to support you every step of the way. There’s no end to the possibilities when it comes to your fundraising ideas. 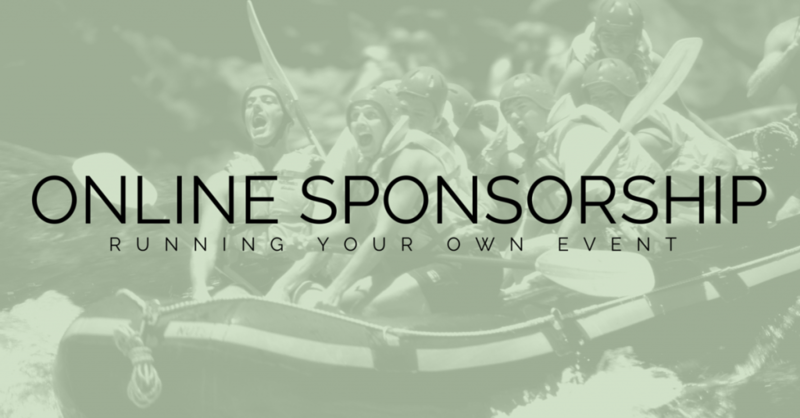 You can get sponsorship for nearly everything you could think of – whether that’s a sponsored walk, run or swim; a daring firewalk, abseil or bungee jump; a pub quiz, coffee morning or race night; or even a fashion show or Charity Ball: have as much fun and ambition as you want to! Click here to check out our list of fundraising ideas to get you started. Everything is made so easy through iDonate.ie. But, before you get started, it’s really important that we know about any fundraising events you are organising on our behalf. This is so that we can ensure that the rules set out by the Irish Charities Regulatory Authority are fully complied with. We have to approve any fundraising activity that you’re undertaking on our behalf, so please register your event with us beforehand by contacting our office on 01 525 0707 or by emailing orlaith@theatnetwork.com with details about it. Log in or quickly register your details. Click the “Start Fundraising” tab on the homepage. Select which kind of event you’re interested in running. Choose a name, date and location for your event. Choose Áiseanna Tacaíochta as your charity. Fill in a few details for your fundraising page; share some photos and social media links if you have them; and, before you know it, you’re ready to go! It’s that simple – now it’s just about spreading the word and watching your sponsorship grow! You can set yourself a target if you’d like to, or you can just see how it goes. Your fundraising page will be live on the iDonate website for anyone to see and donate to, but it’s always a great idea to share what you’re doing through email, social media, and even good old-fashioned chats with friends! Ask your family and friends to get involved, and maybe think about the different skills and contacts that they have which could help you with organising and promoting your event. And, of course, we’ll be here to help you too! Once your fundraising page is set up , all you have to do is to hold your event! The money you raise will be transferred directly to us here in ÁT without you having to worry about collecting cash or storing and lodging money – it’s all taken care of. Don’t forget to stay social! Share your event across Twitter, Facebook, Instagram and any other social media links you might have, always spreading the word and encouraging donations. We’ll support you by promoting it through our own social media channels as well. If you have any photos or media coverage of your event that you’d like to share as well, we’d love to see them – make sure to send them on to us! If you have any questions abouot online sponsorship or have anything you’d like to share about your event, please get in touch with Orlaith Grehan by calling 086 183 1502 or by emailing orlaith@theatnetwork.com.